Stockholm: Legenda/Bokförlaget Natur och Kultur, 1998. This edition of Listening Woman was published in Stockholm in 1998 by Legenda, an imprint of the publishing house Natur och Kultur. 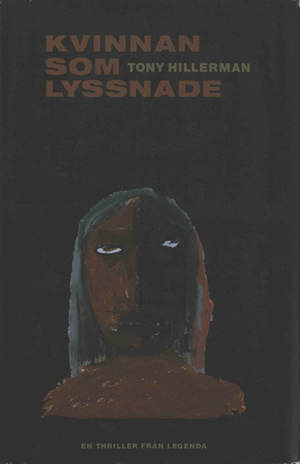 The translation is by Lena Schultz and the cover is by Catharina Grönström. This is a hardcover book with dust jacket. The artwork is a rough portrait of a woman's head and shoulders. Binding: Black cloth-covered boards. The author's name, book title, and publisher's logo are embossed on the spine in silver.